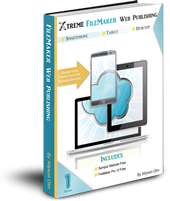 Using FileMaker Custom Web Publishing you can create dynamic PHP FileMaker web sites within Dreamweaver without having to become a PHP programmer. Create customer logins with either FileMaker accounts or tables. Access and interact with layout objects such as fields, value lists and portals. Sign up for a new shared account and enter promotion code fmg2xm and get the first 2 months free. FileMaker 11 hosting and FileMaker 12 hosting.